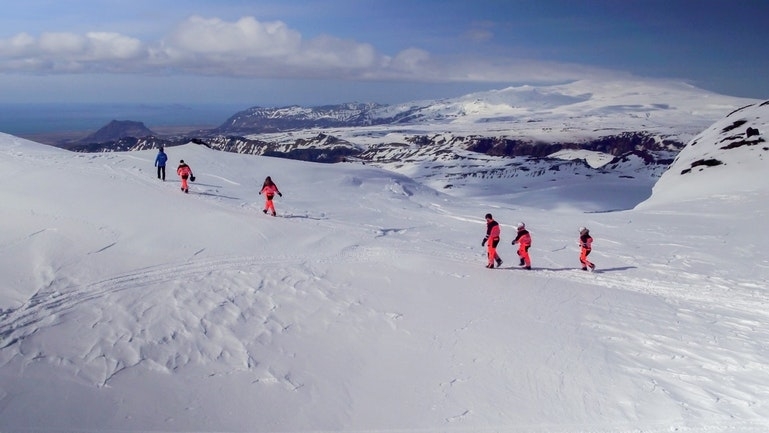 While the south is certainly spectacular from "below” nothing beats experiencing it from "above”, snowmobiling on top of Mýrdalsjökull. Departure: Meeting time is 30 minutes before departure. 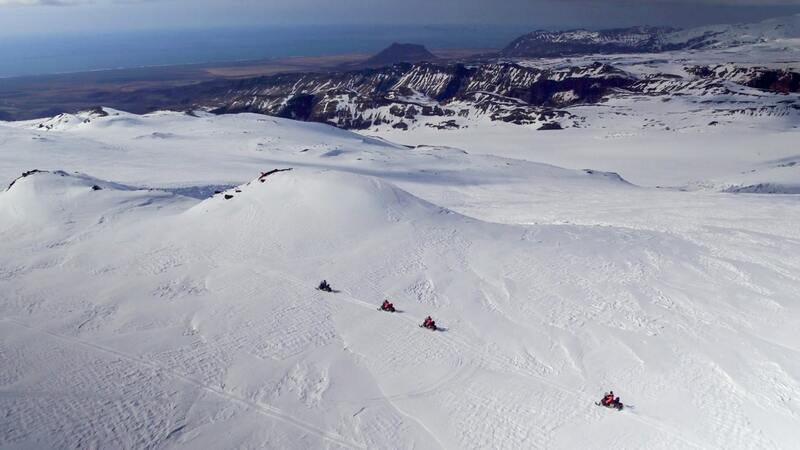 While the south is certainly spectacular from “below” nothing beats experiencing it from “above,” snowmobiling on top of Mýrdalsjökull glacier – an icecap covering one of Iceland’s largest volcano, Katla. 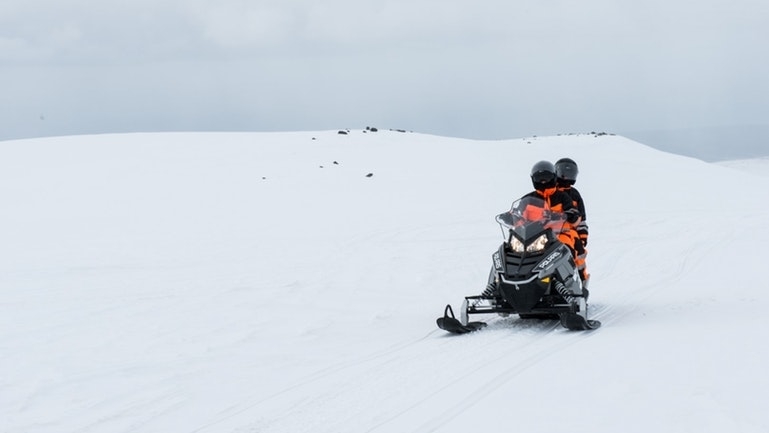 The snowmobile tour is the perfect length of time for first-time riders and individuals looking for a scenic, fun ride, exploring and experiencing the wilderness, Glacier and the breathtaking views over South Iceland in good weather. 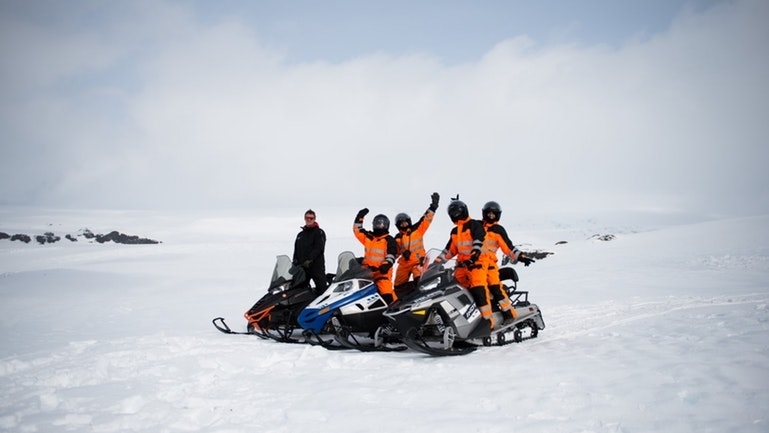 The tour starts from our base, after a short briefing and dressing up in a snowsuit we step into a jeep or truck, and we drive up the mountain to the glacier where we pick up the snowmobiles and ride to the glacier Mýrdalsjökull. 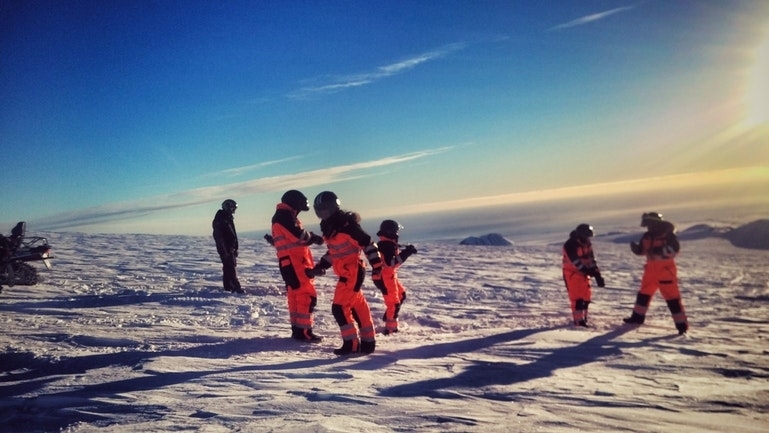 The glacier adventure will provide stunning photo opportunities in good weather. We provide you with everything you need for a safe and comfortable ride – bring only yourself. 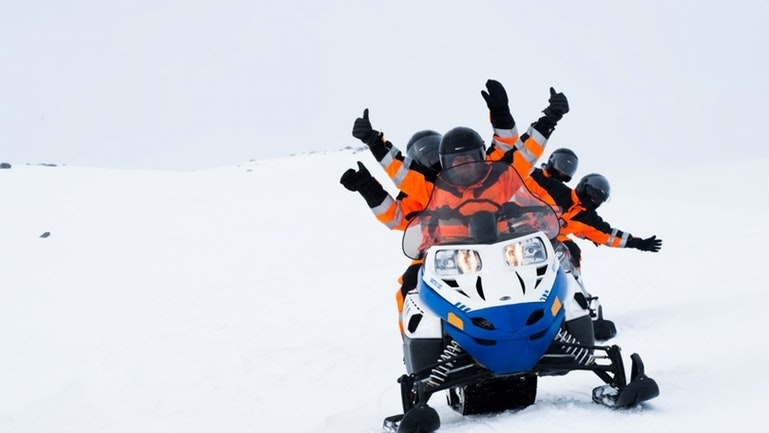 Our guides will take you through safety procedures and equip you in appropriate clothing and helmets. 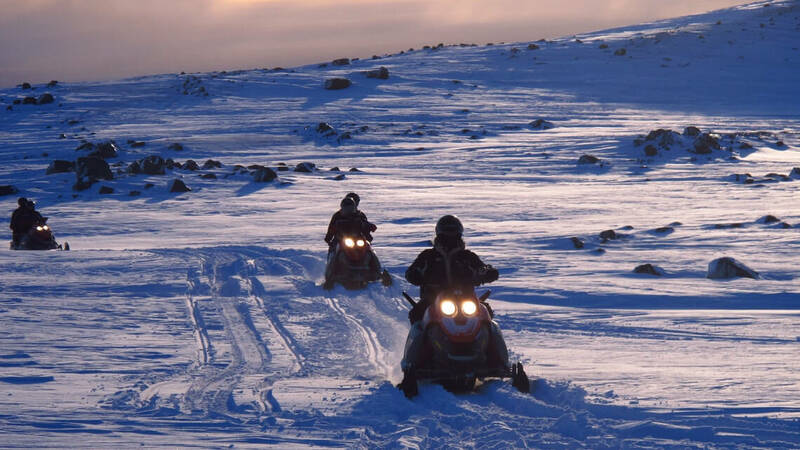 The snowmobiles will not be a problem – it is just a matter of squeezing the accelerator or the brake. 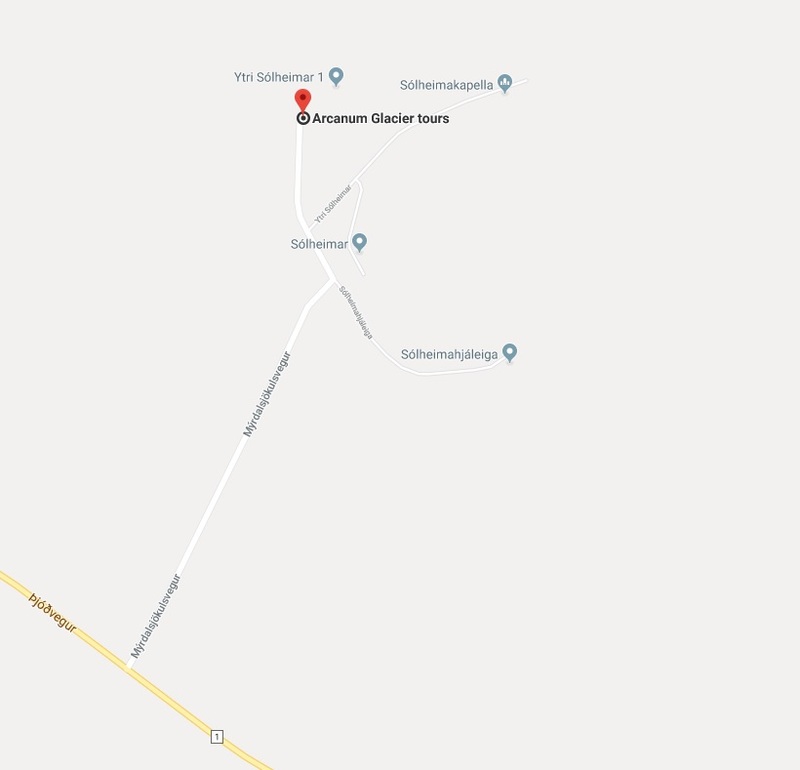 Highlight of our Iceland trip!! This was the highlight of our trip! We were debating booking this as it is quiet expensive but it was worth every penny! 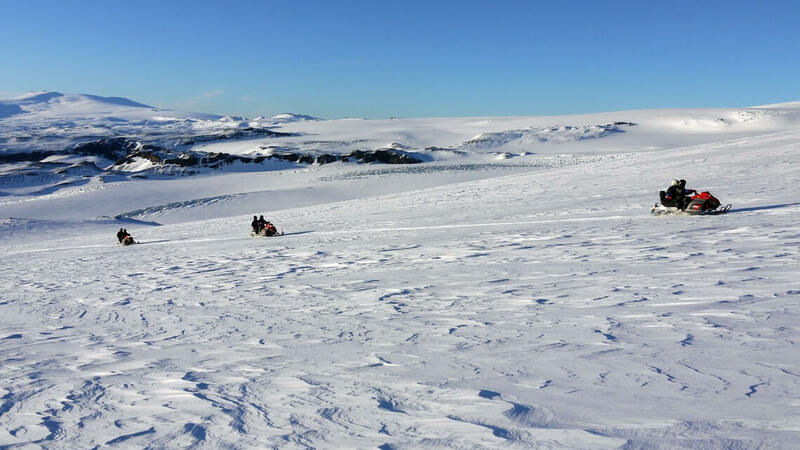 We booked the 10am tour and we had a beautiful clear morning which was ideal what an amazing experience, thank you! The view is spectacular and it is just so much fun!! If I ever find myself back in Iceland I will definitely come do this again. expensive but having experienced it I now believe it worth every cent!!! 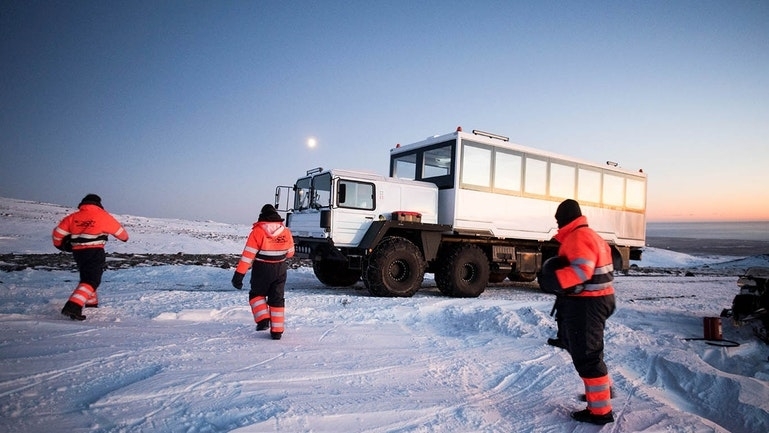 The process of getting togged out in the very effective Snow suits could be improved as it was a little chaotic trying to get dressed for the tour at the same time that the previous tour group were trying to change out of their suits. Someone should look at straightening out the process. That said nothing will stop me going again it was truly amazing. Tip take a Go-Pro record your experience and you get to watch it again and again. 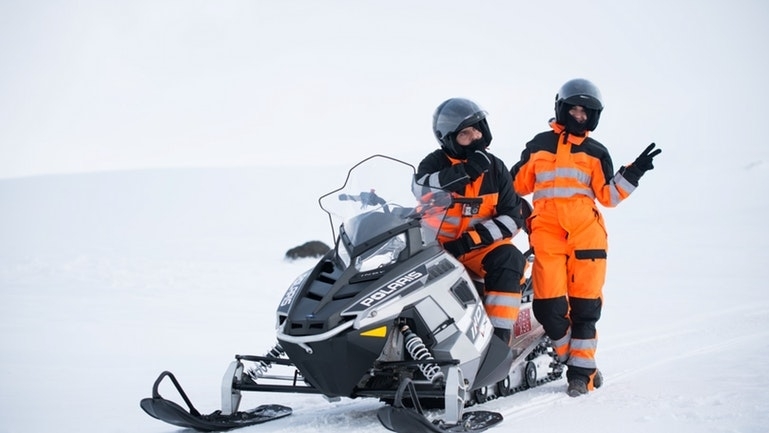 The helmets provided already have a fitting for you to affix your go-pro. We were a party of 4. Contemplating whether to sign up or not because the forecast predicted heavy rain! 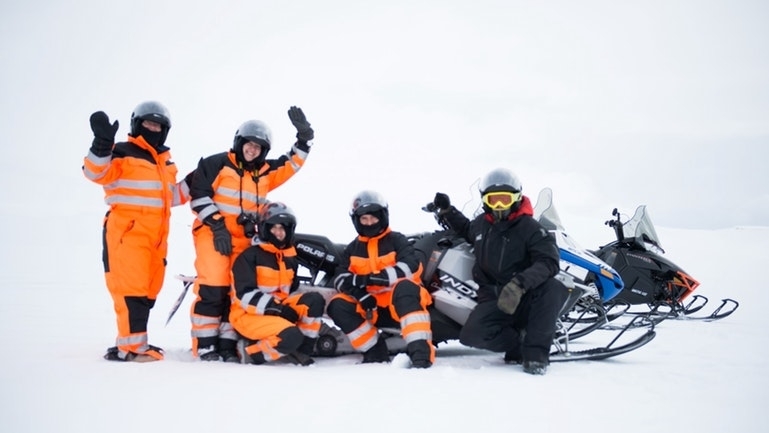 When we got to VÍK after driving from Reykjavik and getting a little lost on the way (took a wrong turn 🙂 ) we met the guides and got dressed in all the gear.